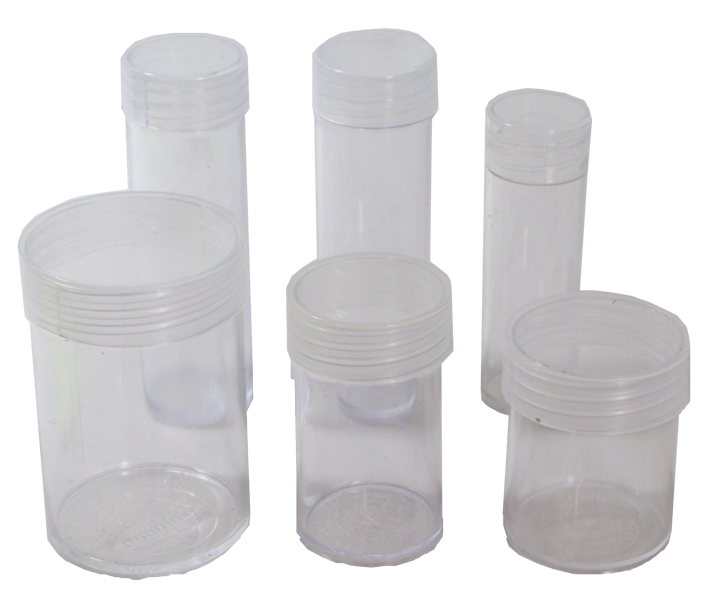 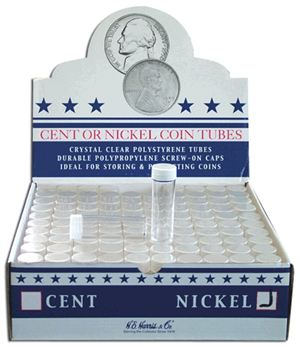 Round coin tubes by HE Harris & Co. are made up of high quality crystal clear polystyrene materials. 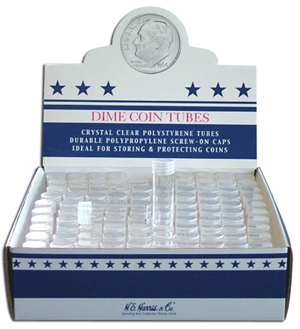 Built with a polypropylene screw-on cap to store and protect loose cent coins. 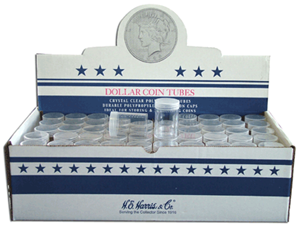 The HE Harris & Co. round coin tubes safely protect and store your cent coins. 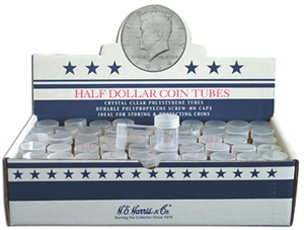 Polystyrene round coin tubes by HE Harris & Co.
Each tube will hold a roll's worth of coins. 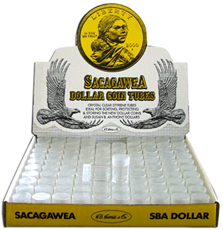 Note: round coin tubes will not accommodate wrapped coins.